Several traditional Maori food plants are rich potential sources of anti-oxidants, according to research headed by Associate Professor Kevin Gould from the University of Otago's Department of Botany. The study, published in the New Zealand Journal of Botany, tested 17 indigenous and introduced plant species and found eight of them had considerably higher levels of antioxidants than blueberries.
" Blueberries are the standard by which other things are measured,"
" The exciting thing about this study is that it has highlighted that certain New Zealand native plants have an extraordinary potential for scavenging free radicals which are implicated in cancer, heart disease and neurodegenerative conditions. " For example, puha - a plant still commonly eaten by Maori - has more than three times the level of antioxidants found in blueberries. But what really surprised Assoc Prof Gould and his team was that the fruit of Syzygium maire or swamp maire has more than 18 times the level of antioxidants, while the berries of Alectron excelsus or titoki contain more than 12 times the antioxidants. Even Knightia excelsa, also known as rewa rewa or New Zealand honeysuckle, is almost 10 times higher in antioxidants than blueberries. Assoc Prof Gould points out that apart from puha none of those plants were key food sources for Maori. For example titoki berries were apparently used to make 'waiwaka puddings' as a treat for children.
" It certainly gives us insight though into perhaps why pre-European Maori appeared to have low levels of non-infectious diseases. 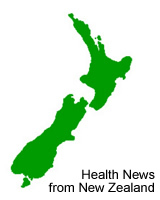 Even now they have lower incidence and mortality rates from colon and rectal cancers than New Zealanders of European descent." But the study does not answer questions about bio-availability, or the body's ability to absorb antioxidants from any of the plants, he said.
" Even so, to come across plants with many times the concentration of antioxidants seen in blueberries is exciting and serves to illustrate the potential of native and introduced species as sources of dietary antioxidants, and this study provides the foundation for more detailed research into this area." News is included to provide information about current issues but not to endorse any particular view, activity or product. Any opinions expressed in this article are not necessarily those of IvyRose Ltd.. At least some of the material on this page was released by the source/s indicated below on or about 27th February 2006.This article has been prepared by IvyRose using information and quotations that may also be from various other sources as well as any further comments, explanations and images credited individually.